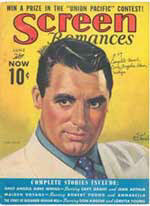 Truth be told, Cary Grant didn’t exist for a quite long time in Hollywood. On a cold January day a century ago, Archibald Alec Leach was born in Bristol, England the son of a working class family. His young boyhood life was like any other. He went to school, he played, he dreamed. It was a normal life until the boy’s world was suddenly turned upside down. He arrived home one day from school and was told his mother had taken a trip to a lovely seaside resort. From age 9 to his early 20’s, he never saw his mother, never told that she was actually in a mental institution. Young Archie Leach left school at age 14 and joined Bob Pender’s comedy troupe. He did quite well for himself, learning pantomime as well as acrobatics as he toured the country with Pender’s troupe. He worked diligently at his craft, and in July 1920 he was selected, along with seven other Pender boys, to go to America. The Pender Boys brought their show to Broadway and Good Times lasted for over 450 performances. Leach decided to stay in America, honing his craft as an actor, but struggling for countless years. When he finally hit Hollywood, Leach, looking into a dressing room mirror, decided he needed a change. He knew Archibald Leach was not a fitting name for Hollywood success. 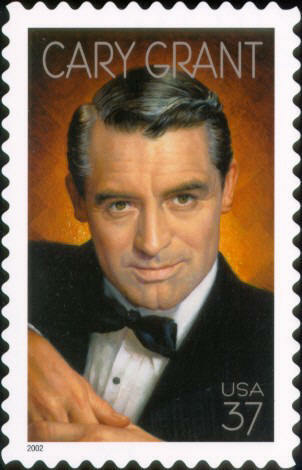 Cary Grant could have been like any other name but it stood for something more sophisticated. It stood for debonair, style and an unleashed suaveness hiding in the perfect Hollywood gentleman. Cary Grant attracted immediate attention in Hollywood starring alongside Marlene Dietrich in Blonde Venus (1932) and Mae West delivered her historic come-on line to Grant in the ribald comedy She Done Him Wrong (1933). Grant had built a reputation as one of Hollywood’s most dependable leading men appearing in quite a few movies through the 30’s including Suzy (1936), opposite Jean Harlow, and he showed off his physical skill in Gunga Din (1939) as Sgt. Archibald Cutter. Grant may not have been entirely convincing as a cockney in George Cukor’s Sylvia Scarlett (1935), but he did bring to the part what he picked up as a member of the Pender troupe. The movie also starred a young Katherine Hepburn, an actress who would be at Grant’s acting side during the late 30’s. He and Hepburn were a perfect mix of wit and charm in the now classic screwball comedy, Bringing Up Baby (1938). They were matched again in Holiday (1938), but Hollywood had turned its back on Hepburn by this time, and the movie was practically unnoticed. After a short hiatus, Hepburn came back to Hollywood, looking for Grant to star a in a new picture. The Philadelphia Story (1940) was an instant smash and it was beside Cary Grant that James Stewart won his first and only Oscar and Katherine received an Oscar nomination. In the early 40’s Grant starred alongside Rosalind Russell in the classic comedy His Girl Friday (1940) and he proved superb in the romantic drama Penny Serenade (1941). Grant played a more convincing cockney drifter in None But the Lonely Heart (1944) and earned himself an Oscar nomination. In the deranged, energetic comedy Arsenic and Old Lace (1944), Grant was convincingly outrageous. Grant starred in The Bachelor and the Bobby-Soxer (1947) opposite a teenage Shirley Temple, and The Bishop’s Wife (1947) with Loretta Young. In 1948, he starred in the delightful comedy, Mr. Blandings Builds His Dream House, opposite Myrna Loy. Grant attracted the attention of Alfred Hitchcock and was asked to star in the director’s upcoming Suspicion (1941). The film earned an Oscar nomination and started a friendship between director and star. Grant became of one Hitchcock’s quintessential leading men. Grant appeared in the excellent post-WWII espionage thriller, Notorious (1946). He appeared opposite the stunning Grace Kelly in To Catch A Thief (1955). They were allowed to improvise some of the dialogue, knowing what Hitchcock wanted from them. They managed to get the playfully risqué exchanges past the censors, and the movie was a hit. 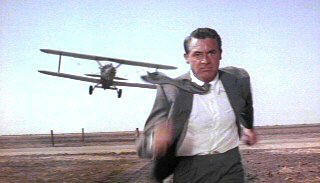 In what was to become Alfred Hitchcock’s most iconic moment, audiences watched Grant ducking for cover below a swooping airplane in North by Northwest (1959). The movie would bring Grant his biggest box office success. Grant was box office gold, but he felt alienated in the changing world of the film industry. However, Grant continued to be amazingly versatile. He still had comic genius in That Touch of Mink (1962) opposite Doris Day. Grant, who was approaching 60 at the time he filmed the elegant witty comedy Charade (1963), felt he was too old to play the love interest for Audrey Hepburn, who was 25 years younger. He asked that it be Hepburn chasing him, not vice versa. His second to last film was one he spoke highly of in interviews revealing Father Goose (1964) to be one of his favorite projects. It was after completing work on Walk, Don’t Run (1966), that Grant did the unimaginable. He retired from the screen, and Grant’s departure signaled the end of Hollywood’s Golden Era. As films of the 1960’s moved towards violence and risky topics not ever seen in Hollywood, it became more evident that Cary Grant had indeed personified the elegance and charm that Hollywood had thrived for so long. It was with Grant’s suaveness that Ian Fleming fashioned the James Bond character and should be noted that Grant turned an offer to play the character on screen. Grant suffered a major stroke prior to performing in his one man show “An Evening With Cary Grant” at the Adler Theater in Davenport Iowa on November 28, 1986, and died later that night at St. Luke’s Hospital. On American Film Institute’s list of top 100 U.S. love stories, compiled in June 2002, Grant led all actors with six of his films on the list and he’s pictured on a 37¢ USA commemorative postage stamp in the Legends of Hollywood series, issued 15 October 2002. Today, January 18, we celebrate the 100th birthday of one of Hollywood’s leading men. Grant remains the most perfect of Hollywood’s leading men, starring with a number of leading ladies including Ginger Rogers, Deborah Kerr, Grace Kelly, Doris Day, Marilyn Monroe, Katherine and Audrey Hepburn, and Sophia Loren. He’ll always have that “Cary Grant mystique” onscreen and everyone, including myself, who may still remember, wants to be Cary Grant.